Published on January 29, 2014 in General Interest. 0 Comments Tags: Get Organised, Productivity Tips. There are several factors that contribute to how effective you are at work. Staying healthy and sleeping enough are some of the more obvious contributors. But there are a number of other things to consider as well. If you’ve found yourself slipping behind in your workload, or simply not feeling as motivated as you once did, it may be time to have a think about changing things. This doesn’t need to take a lot of effort on your part, either. Follow these five tips and tricks to help you become more productive at work, and you will be feeling better in no time at all. If you want additional productivity tips, you can refer to the “Queen Of Organizing”, Maria Gracia. Tell yourself you won’t go out for coffee until a certain task has been completed or that you will cancel your weekend plans if you are running behind. The key distinction here is to focus on the outcome rather than the time you allocate to the task. There is a saying that the work will expand to fill the available time. Students are notorious for doing this – wasting HOURS on a subject thinking they are supposed to do that, to please their parents or self-delude themselves. That is not how you get better grades and it’s not how you get better business results. A messy workspace does nothing for improving your motivation. In fact, it does the opposite. When your desk is messy, you feel far less inclined to work. To combat this, make sure you keep a clean and tidy workspace. If you don’t have enough storage space, consider buying more. Fort Knox Storage Mackay has a number of storage options suitable for anybody. Simplicity is the ultimate sophistication. Setting goals for yourself is a wonderful way to improve your productivity. If you’re constantly beating your own best (performance or outcome) then you will feel more and more inspired to keep doing so. Set goals and do everything that you can to beat them. After a while you will be amazed at how productive you have become. Want to achieve your ultimate goals? check out My Best Year Ever program. Make it your goal to impress your boss. Once you’ve done that, aim to impress someone higher up. The harder you work, the more these people will admire you. Make it your goal to impress everybody with your hard work ethic and productivity. This way, you will constantly be working as hard as you possibly can. Stress is one of the main things that will affect your productivity. To combat stress, remember to stay calm and get enough sleep. Adhering to your schedule and meeting your goals should help you to become more relaxed. Similarly, a tidy desk space will help you fall into the right state of mind to work efficiently and productively. 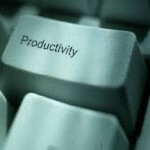 Increasing your productivity doesn’t take a lot of time and effort. There are, however, a number of small steps that should each be followed in order for you to meet your full potential. Schedules will not be met if you are stressed, and you will be stressed if your desk is cluttered, so remember to keep it tidy. After a while it will all become second nature and you will be amazed at who you have become. This has been a guest post, If you would like to publish on this or any of our other blogs, contact us.